Can be icy in winter. Lurking above the marine fog layer close to the clouds, this road has a dreamlike ambiance to it. The mystical atmosphere comes courtesy of a nicely paved single lane road snaking along the tip-top of the mountain range for 18 gorgeous miles. 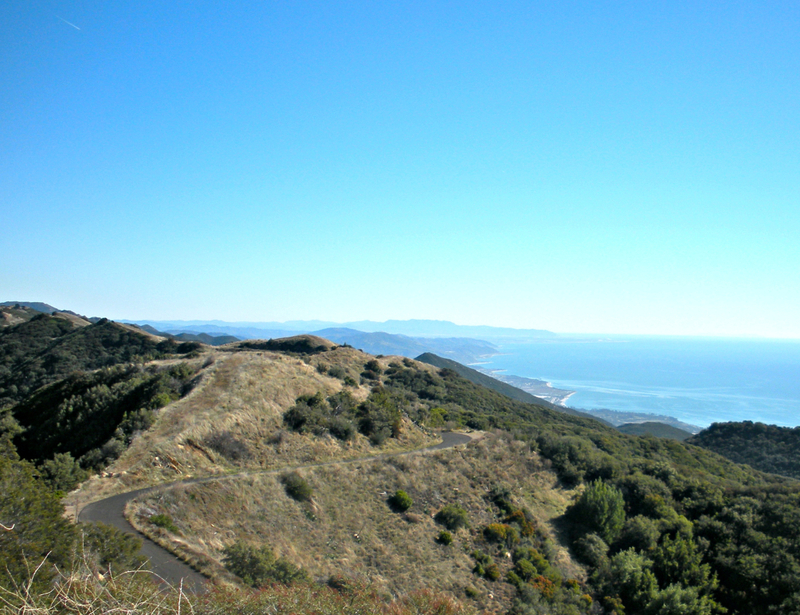 Some highlights to watch out for amidst those 18 miles include the highest point in Santa Barbara at La Cumbre Peak (3,997 ft.), refreshing pine tree groves, over 5 trailheads, and the only place in Santa Barbara that ever gets snow (very rarely, but it happens). Riders who love a healthy climb with a lot of vert and a blazing descent - this is your road. The mountain views from on high are incredible. Beginners may get tuckered out on a sustained 18 mile climb, but as long as they pace themselves, they'll make it just fine. There are three good ways to get there: at the top of Highway 154 (San Marcos Pass), the top of Gibraltar Road, or the top of Painted Cave Road. 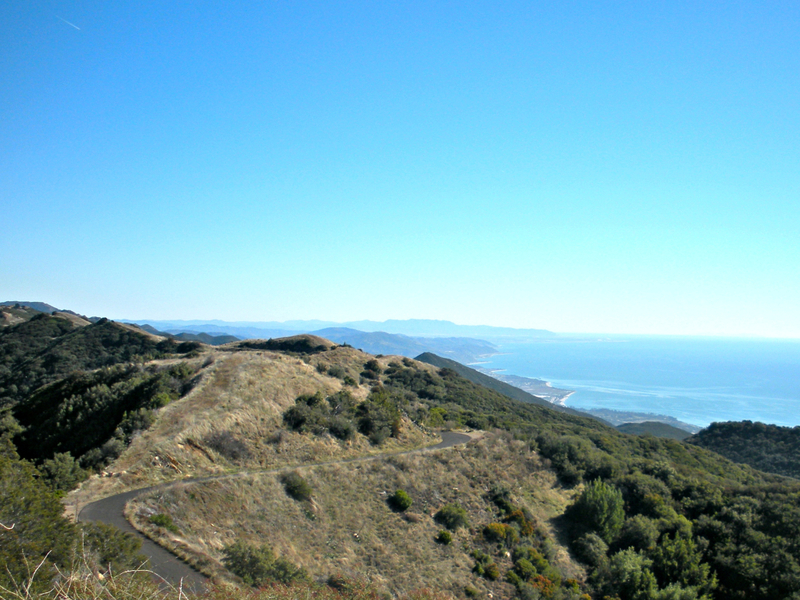 East Camino Cielo Road is best incorporated into long rides or trail runs that will include plenty of climbing. Most commonly, it is used to connect Gibraltar Road and Painted Cave Road for cyclists. For trail runners, Camino Cielo is the catalyst for making loops out of two or three of trailheads, such as Cold Springs Trail, Romero Canyon Trail, Tunnel Trail, and others that venture down the north side into the back country. If you're willing to make a drive or get shuttled, a long run up here with the clouds can be magical, especially at sunrise.